In today’s technology driven world, it is nearly impossible to escape using computer-screened devices for your daily tasks. You can spend hours at work in front of screen, use them at the super market, and then use an e-reader in your leisure. The importance of eye health and computer usage is becoming increasingly popular. To begin, computer usage has not been conclusively revealed to cause permanent impairment to healthy eyes, but they are linked to eyestrain and may further issues already found in eyes. Extended computer screen use could aggravate existing conditions unaware to a patient. Regular eye exams are key, as early detection of vision weakening significantly lessens the chance of further damage. Research shows between 50% and 90% of people regularly using a computer screen have at least some symptoms of eye trouble. The name for eye problems caused by computer use is computer vision syndrome or, CVS, which the American Optometric Association defines as “the complex of eye and vision problems related to near work that are experienced during or related to computer use.” To work at a computer requires the eyes to continuously focus, align with the screen, and adjust to the computer lighting. Together these functions exert much effort from eye muscles, especially as you age and the muscles become less flexible. Symptoms of computer vision syndrome may include, blurred vision, double vision, dry, red eyes, eye irritation, headaches, and neck and back pain. If you are feeling any symptoms related to extended computer use, it is important to talk it over with your optician because there may be changes to your eyewear to help. For example, anti-reflective coating and tints can be put on your lenses to aid in computer usage. These lenses eliminate reflections of light from the front and back surfaces of your lenses that can cause eyestrain. 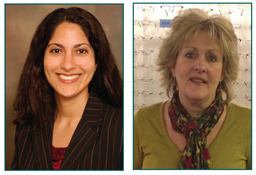 Optician, Judy Powell, recommends adding a light tint to computer glasses to reduce glare caused by harsh overhead lighting and to enhance contrast. Tinted computer lenses also are recommended to block short-wavelength light emitted from computer screens that is associated with glare and eye strain. It is best to avoid over-the-counter reading glasses, for convenience, because there may be a better avenue to aid what you already use. 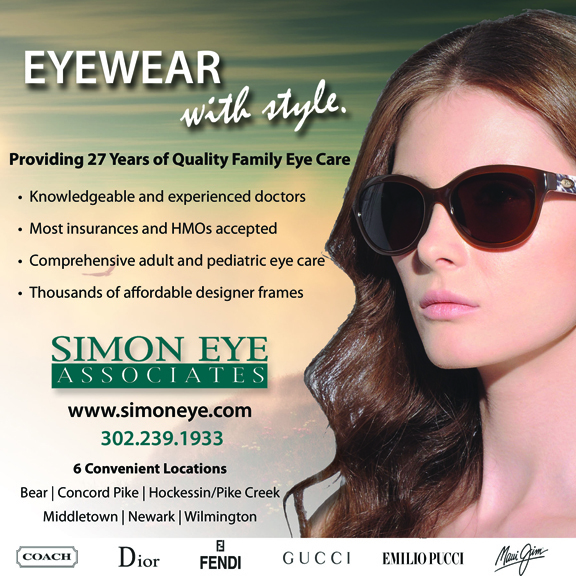 It is best to purchase this eyewear from a knowledgeable eye care professional. On a positive end, there are things you can do to help with CVS. For instance, it is important to have the computer settings conducive for long hours of work. The screen resolution should be set to on high so your eyes can pick on images with minimal strain. The contrast on the screen should also be set to a level that is not too dim but also not too bright because that is uncomfortable to eyes. The AOA also suggests the 20-20-20 rule for computer usage, which entails keeping the computer about 20 inches away from eyes, and every 20 seconds taking a break from the screen to look at least 20 feet away. The doctor and her staff were excellent. It is hard to find good customer service today but every person I spoke with was courteous, professional and helpful. I am actually looking forward to my next eye exam. ~R.A.